Want to learn about money? Join us! The Independent Advantage program is a series of financial classes available to teens between the ages of 15 – 18. In a relaxed and fun environment, students learn about checking accounts, electronic account access, credit, and budgeting. Once students complete these classes, they receive a checking account with free checks, a MasterCard check card, a MasterCard credit card, and complete electronic access to their accounts. 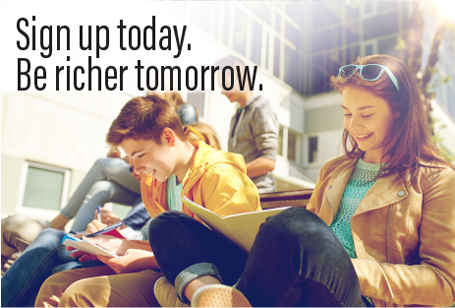 Classes are free … students only need to have an open savings account with the Credit Union. Each class runs from 5:45 pm to 8:00 pm, one night per week for four weeks, and dinner is served at the start of each class. Students receive a notebook, calculator and pen. Each class begins with a handout containing all of the information to be covered that evening. We want the students to be able to concentrate on the material, not on the task of taking notes. These notebooks are great reference tools for questions that may come up in the future. If you would like to enroll for the classes, signup here or call or email Joanna Tomlinson at (818) 846-1710, Ext. 310.